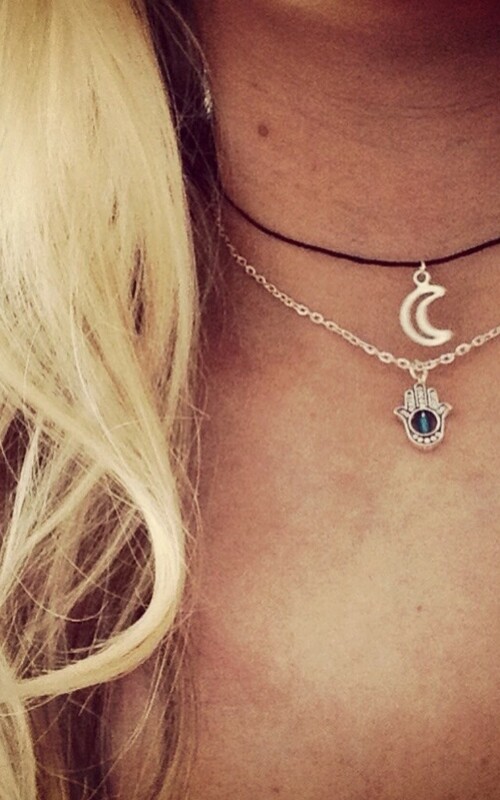 First choker: A Black cotton cord choker with a Silver plated moon charm . The choker measures 14" long with an extension chain to adjust the size. The second choker: a silver plated Hamsa charm with a small Blue bead on a 14" long chain with an extension chain to adjust the size.